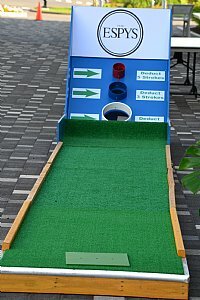 The Skeeball Hole is a great addition to any putt putt miniature golf rental course and is primarily used as the last hole of the course. Just like a classic Skeeball that one would find in an arcade, The Skeeball Hole has circular targets. There are 3 targets that an inspiring putt putt golfer can aim for. If the golfer misses any of those targets the mini golf ball will end up at the bottom of The Skeeball Hole. As a final hole on a putt putt miniature golf rental course, the mini golf balls are collected. 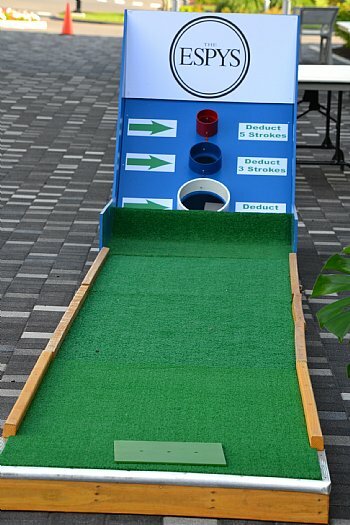 For events that do not want the guests to participate more than once this is an excellent item to add to the putt putt miniature golf rental course. For those events that want golfers to play again & again, our staff can easily open up the Skeeball Hole and retrieve the mini golf balls. The exterior of the Skeeball Hole can be easily branded on both sides and the back. The area where putt putt golfers are putting into is the primary area of branding. Each specific target can be branded for example to offer strokes of the round of putt putt golf or offer specific prizes. In the instances where the Skeeball Hole has been used as trade show booth game, trade show attendees aimed for specific targets to receive discounts off of the trade show booth merchandise. 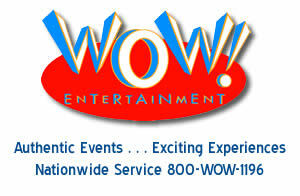 Please contact a WOW Entertainment event specialist at 800-969-1196 to learn more about The Skeeball Hole and its features for your upcoming event & trade show.